Florists Choice mixed colour hand-tied Bouquet. 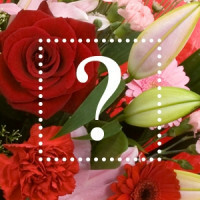 Let our expert team of florist create a stunning gift to send to someone special. Florists Choice mixed pink and purple hand-tied Bouquet. Let our expert team of florist c..
Florists Choice mixed reds and greens and whites hand-tied Bouquet. Let our expert team of florist&n..